Those are the words of Rick DeVos, founder and CEO of the Michigan-based Start Garden, a $15 million investment fund located on the West Side of the state that’s throwing money to startups every single week. And after spending some time around their downtown office, I can tell that it’s clear that Rick is anything but naive. The young VC knows exactly what he’s doing. I recently attended an Update Night at Start Garden. 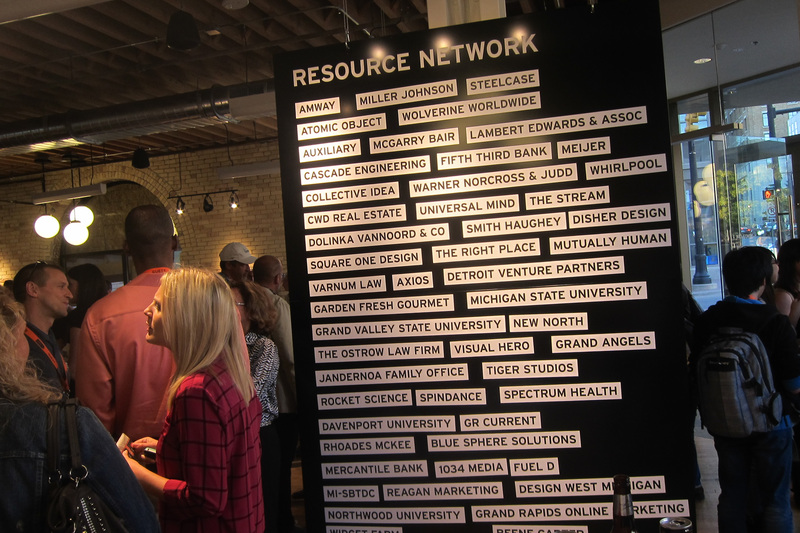 Here, in Grand Rapids, Michigan, sitting equidistant from Detroit and Chicago, lives this vibrant investment fund that is committed to the region. Financed by the DeVos family of Amway fame, Start Garden is more than just a general investment fund. It’s a fund that’s trying to cultivate a startup ecosystem where there isn’t one. “Our goal is to make a return but also catalyze and get things to go here” Rick said. He is a quiet guy. Young. Easy to smile. He comes from money. And he loves Grand Rapids, Michigan. He’s a humble VC and perhaps one that, from a venture capitalist perspective, has an unhealthy attraction to Grand Rapids. When he says he’s interested in the area nearly as much as making money, it’s hard not to believe him. In fact, I think if he were to be completely honest, he’s probably more interested in making money for companies in Grand Rapid. Start Garden opened its doors in downtown Grand Rapids in April 2012. It’s Rick’s second go at accelerating the area’s startups. After watching Y Combinator from afar, he founded Momentum in 2008 to attempt to replicate the same thing in West Michigan. The program ran for three years and made several small seed investments. Rick laughed when I said I had never heard of it. “It took us longer than it should to figure out that Y Combinator and TechStars have worked really well in their communities because of their location,” Rick said. Enter Start Garden. Along with traditional venture capitalist funding, Start Garden runs a program that puts $5,000 into an idea every week through a crowdsourced system. Then, once a month, it runs an Update Night in which each of these companies attempts to get an additional $20,000 in seed funding through a sort of pitch-off competition. As I quickly discovered, Update Night can be brutal for the startups but entertaining for the attendees. The fund’s staffers vet the companies live. In front of everyone. There were easily a couple hundred in attendance the night I went. Start Garden staffers evaluate the company’s progress since receiving the initial $5,000 check, generally 90 days prior, and decide whether they’re right for additional Start Garden funding. Just two companies out of 10 received the extra funding the night I attended. The night is free to the public, and thanks to sponsors, beer and wine are included. As Rick DeVos explained to me, it’s his aim to create a startup ecosystem. It’s his aim to get people to just do something rather than being stuck in a planning cycle. The small weekly funding rounds allow aspiring or seasoned entrepreneurs to get a boost or proceed without the need to bootstrap funds. Start Garden has made 130 investments, most of them small $5K rounds, since its formation. They have participated in several larger early funding rounds, as well. The night I attended, I watched Start Garden staffers gently turn down quite a few companies for additional funding. In some cases, they acknowledged the validity of the idea or company, but simply stated the business wasn’t right for Start Garden’s venture model. 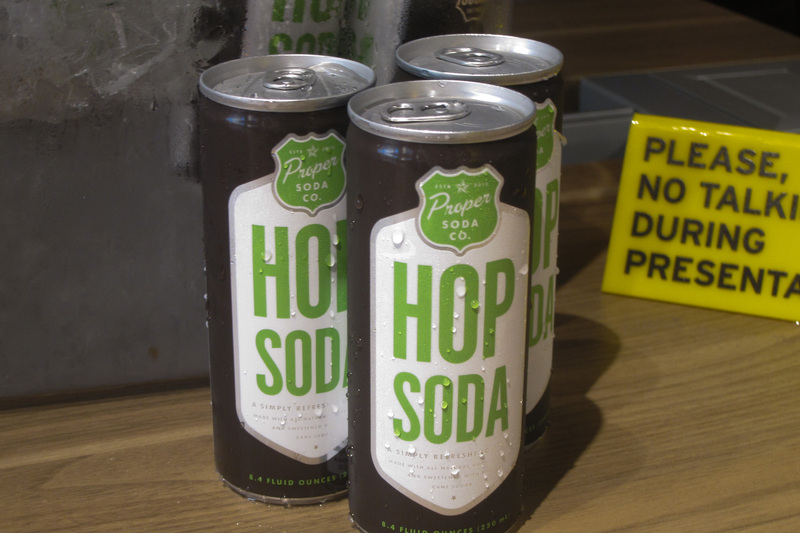 They did invest $20,000 into Proper Soda, though, which makes soda out of hops. Founder Stephen Curtis explained that Start Garden’s initial $5,000 check gave him the headroom to pursue his dream. Like most of Start Garden’s investments, Curtis lives about 20 minutes south of Grand Rapids. He says he’s been in the consumer beverage business his entire life. Starting at a coffee shop, which he eventually took over, he toyed with carbonated beverages for several years but couldn’t bootstrap the money needed to produce a limited run of his soda. He turned to Start Garden because one of the staffers successfully started beverage company Boxed Water Is Better. Proper Soda earned its $5,000 funding through Start Garden’s community and Curtis found a vendor that would produce a very-limited run of cans. After presenting at Update Night, the Start Garden staffers were impressed enough with the company’s progress to invest an additional $20,000. Curtis tells me that he now has the ability to negotiate with beverage distributors. I tried some of his hops soda. It’s really damn good. Rick DeVos’s statement of being committed to startups and ideas is supported by the loose terms associated with the fund’s money. There are just two strings attached to Start Garden’s initial $5,000 investment. It’s not debt. Startups do not have to pay it back nor does Start Garden squeeze equity out of these young companies. If a person accepts the $5,000, they must present at an Update Night and give Start Garden an option to invest in later financing rounds. If selected to receive $20,000 in financing, the sum of the money, now $25,000, is turned into a convertible note. Rick estimates that about half of Start Garden’s investments are pure technology companies. The other half involve consumer goods or design, which itself is a solid nod at the depth of the resources in the Midwest. Venture investment is quickly gaining steam in Michigan. 2011 saw a record year for fundraising and likewise, in 2012, firms invested $232 million over 47 deals. It was a dramatic increase over 2011 levels where less than $100 million was invested. This spike caused the state’s national ranking to jump ten spots, landing it as the 15th most prolific state in terms of capital investments. Like Rick discovered with his first startup accelerator, each area is unique. What works in one area might not enjoy the same level of success in another. Start Garden works in the sleepy Midwest, but its approach to invest loose and fast might not be as successful in a noisier area. Rick is onto something here. He hopes that within the next three years, he will be well into his second fund. If nothing else, like his venture before Start Garden, Rick will at worst pack it all in and try something different. But like the startup community he’s trying to foster, at least he’s committed to doing something.